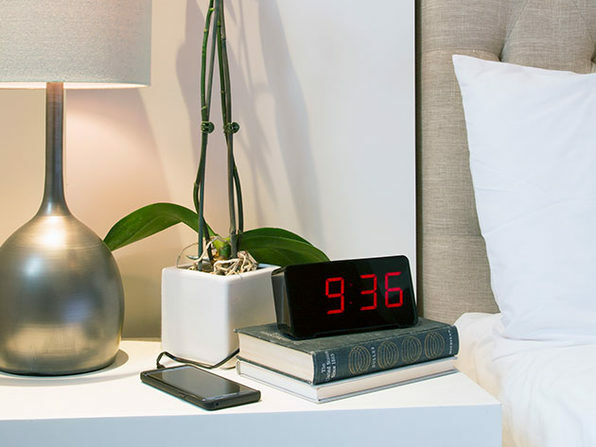 Check out the Sandman alarm clock. It boasts large numbers and four USB ports for charging your devices. One of those ports is a 2.1 amp charging port for devices that need more power. It’s $25.99 through us.